Who doesn’t need a treat before Christmas? Much as I love the holiday season, somehow life conspires to make me feel stressed. And that’s without kids to cater for and school holidays to deal with. 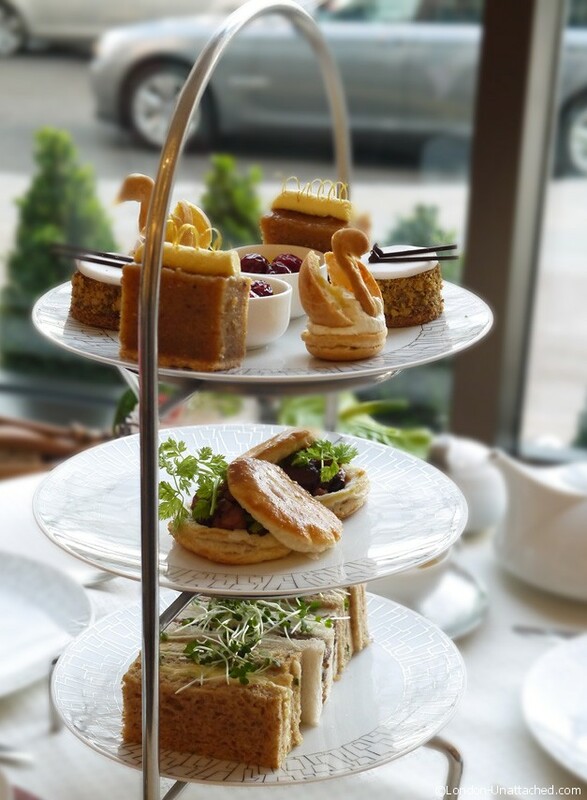 Afternoon tea is one of those relaxing, recharging of batteries experience that everyone should take time out for. 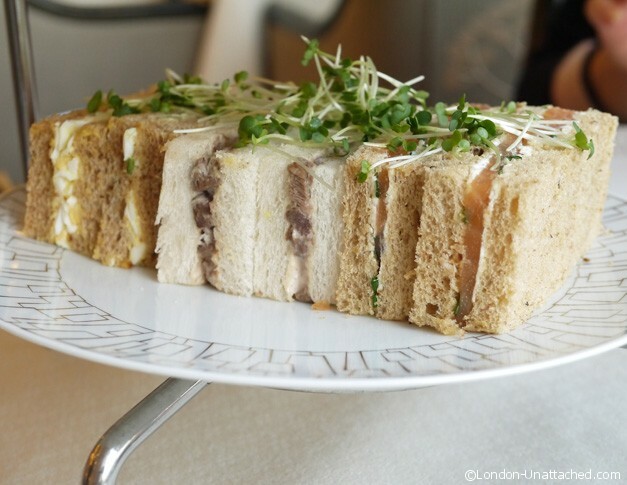 Especially at Christmas and especially if they are invited to review the festive afternoon tea at the Intercontinental London Park Lane. I’m a real fan of the Wellington lounge where tea is served. Unlike many of the Park Lane hotels it manages to combine elegance and style in a way that is modern and unstuffy. The decor is light, almost oriental, tables and chairs are laid out with plenty of space between them and the seating is comfortable. So comfortable in fact that May and I start our tea at 2.30pm and are still there three hours later! My festive champagne cocktail sounds potentially lethal. A mixture of champagne, whisky and pear, it was utterly delicious. The whisky is dominant, but softened by pear juice and champagne to the point that a non-whisky lover like me really enjoys it. 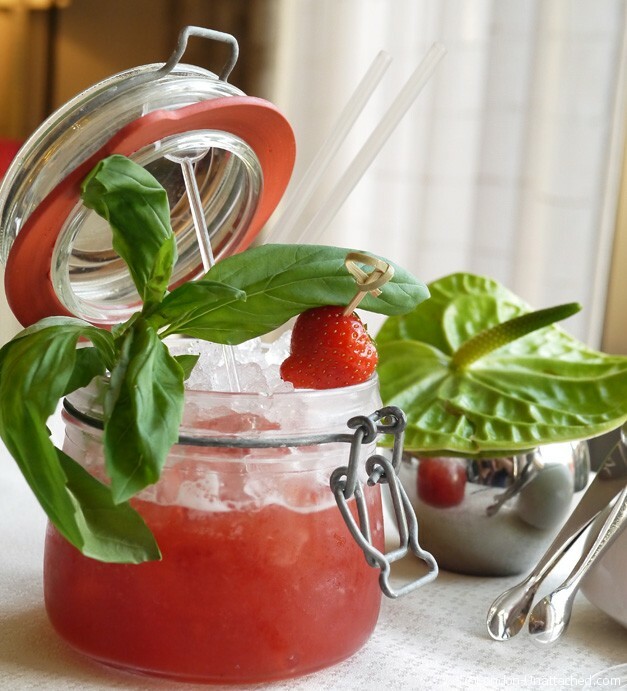 May, in virtuous mood chooses a mocktail, a ‘Jam Jar’ of fresh strawberry and basil. Fragrant and refreshing, this is the sort of drink to ensure you don’t miss alcohol (unless it’s champagne) at all! 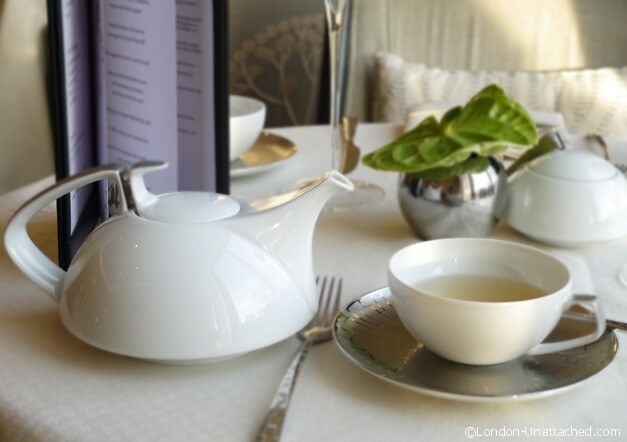 Pots of tea to order, I’ve picked a delicate White Peony while May starts with the house Wellington blend before moving on to a fragrantly vanilla scented Number One Park Lane, exclusive to the Hotel. 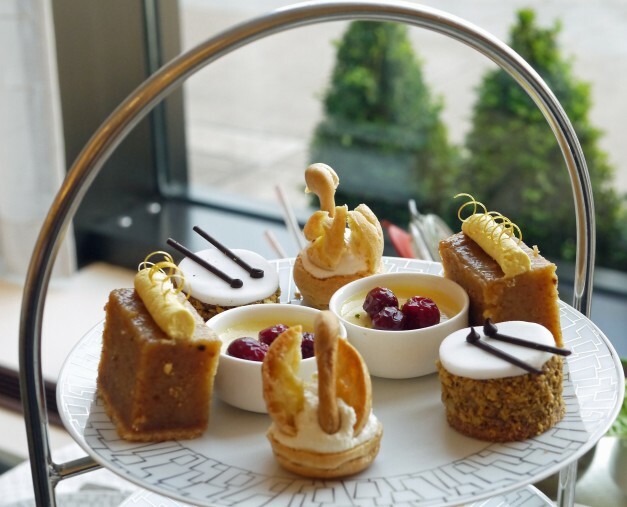 The Intercontinental is a member of the Tea Council and was awarded the UK Tea Guild ‘Award of Excellence’ for 2013 so the options are invariably exquisite. And a selection of finger sandwiches – Salmon and Lords of the Hundred Cheese (lords a leaping), French hens egg mayonnaise and cucumber in wholemeal bread sandwich (French hens) and Squab and wood pigeon in white traditional closed sandwich (I’m guessing turtle dove and coley birds all in one!). Five down, plenty more to go! Scones arrive piping hot from the oven. At this point I pretty much give up trying to work out what is what from the song. Champagne and whisky on an empty stomach has gone to my head (and you should NEVER lunch before afternoon tea at the Intercontinental, because the portions are generous, easily enough to replace a meal). I can’t decide which of the scones I prefer, although I’m resolute in jam before clotted cream..Cornish style. 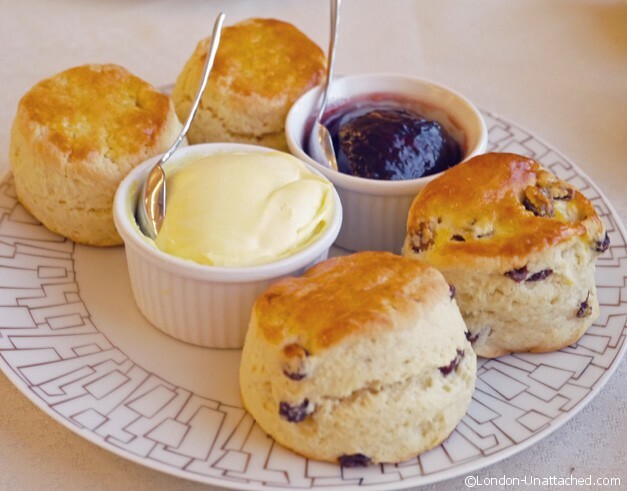 That way you can pile far more cream onto the scone…the jam makes a lovely sticky base! The tiny cakes on the top tier are calling. 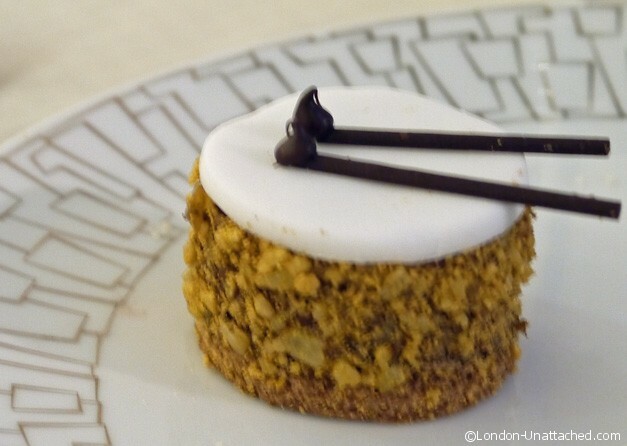 I particularly like the little drum, filled with an ultra light chocolate mousse. And, five gold rings in the form of a divinely wicked treacle flan with sugarcraft gold rings on top. 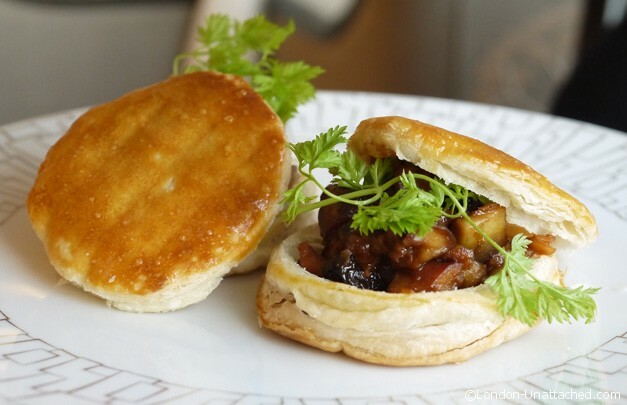 Of course the swimming swans are cute, but perhaps just a little too tiny to keep the choux pastry moist. Priced at £38 a person, this is a celebratory tea for a special occasion. Of course that special occasion may just be having finished your Christmas shopping. Or having started your Christmas shopping. Or even just having survived Christmas! The presentation is beautiful! The food looks delicious, and it must have been a very relaxing experience! Nothing better than a leisurely chin wag over good food and drinks. Sounds like a wonderful array of food and some good company too. It’s a beautiful tea and of course, May is always good company!